View cart “How Great Thou Art” has been added to your cart. Faith and family have always been a source of Tom Tipton’s strength and loving nature. 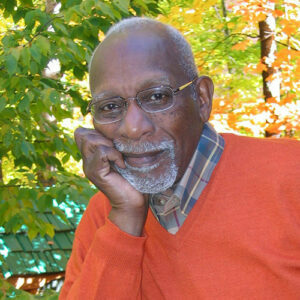 His unique style of Gospel music is a blend of hymns, jazz and R&B acquired over sixty years of musical expression. An extraordinary mother, Dr. Lucille Robinson Tipton Miller, raised him and his two brothers in Washington, D.C. in a fatherless household during the depression. Lucille instilled in them a spirit of self- reliance, love and respect for others that transcended their humble beginnings. Close to Tom Tipton’s devotion to his family and to his faith, come his deep love of his country and the freedoms it proclaims. Growing up in our nation’s capitol, Tom was often denied freedoms that whites took for granted. As a young shoeshine boy, he buffed the boots of some of Washington’s most prominent politicians in the shadow of the White House. Yet he was not permitted to participate in the annual White House Easter egg hunts because of the color of his skin. In the 1960s, he stood with Martin Luther King, Jr. in various rallies fighting for the freedoms his people were denied. Decades later, he was invited to perform at the White House as a guest of President Bill Clinton. He sang at various occasions for presidents Jimmy Carter, Ronald Reagan and George Bush Sr., for vice presidents Hubert Humphrey and Walter Mondale and Senator Hillary Clinton. Tom served for 29 years as a soloist at Reverend Robert H. Schuler’s internationally famous Crystal Cathedral and performed more than 100 times on their nationally broadcast TV “Hour of Power”. He sang alongside Senator Amy Klobuchar at the post 9-11 rally at the State Capitol. He sang at his close friend Vice President Hubert Humphrey’s funeral. He sang for Governor Tim Pawlenty’s Dedication of the World War II Veterans’ Memorial at the State Capitol and sang to honor the Tuskegee Airmen of World War II fame. in Garden Grove, California. He has performed multiple times for the ESGR Dinners honoring the extraordinary employers of our US service. He has sung, in recent years, at virtually every gathering where freedom and liberty are celebrated. My friend, Tom Tipton's music deserves a place in American culture and history. He is unique in his presentation, dynamic in his personality and sings directly to the heart of every individual. His music inspires, uplifts and consoles needy hearts. I wish there were more like him. Tom Tipton has inspired and brought joy to tens of thousands of people across the country in venues like the Crystal Cathedral in California, the White House in Washington, D.C. and many places here at home. He is a true Minnesota treasure. 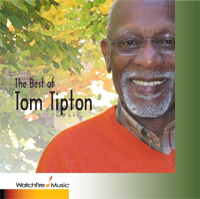 My friend, Tom Tipton is one of America's most gifted singers. He's been with men in prisons and his booming voice shakes the prison walls. He communicates magnificently, not only by his splendid voice but by his beautiful spirit. Sometime early in life Tom must have realized that not all of us have had his good fortune, to be born with a song in his heart. It has guided him every step of his life. To hear hear Tom, is to hear America singing. He has joined us with his exuberance, his reverence and solemnity in our times of trial. He has inspired us in our faith and led us in our thanksgiving, and healed us in our grief. And Tom has done this not only with his song but with his joy and humility and his decency.